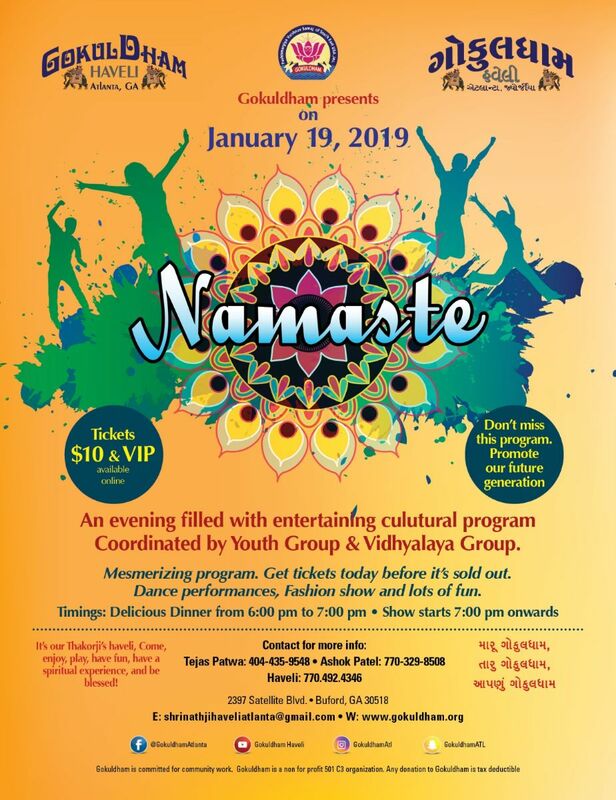 A program initiated by Gokuldham Youth and Gokuldham Vidhyalaya, a charitable event for the benefit of Gokuldham is organized on Saturday, January 19th, 2019 from 07:00 pm onwards. Spectacular dance performances, Fashion Show and lots of other fun activities. So, please get your tickets early to avoid disappointment. Ticket sale is the First-Come-First-Serve basis. Please encourage our youth group and Vidhyalaya kids to help Gokuldham charity. Gokuldham invites everyone and participants from all ages for this event. A delicious dinner will be served before the event at 06:00 PM to 07:00 PM. Please use the following button to buy tickets using your Paypal or your Creditcard. Bring your PayPal receipt at the front desk for the ticket.